After flying for more than 12 hours, our plane finally approached Osaka Kansai airport, which is build on a remarkable artificial island in the bay of Osaka and 5 kilometers away from the coast. The airport impressed me right away not only through its extraordinary undulating design (by Renzo Piano) but also through its efficient operations management. A sophisticated automated immigration and border control system allows for shorter throughput times – very much to the delight of the passengers, as I was soon welcomed and greeted by Mr. Okamoto. 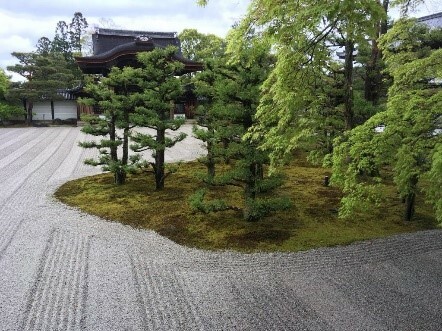 Since then, I have had the great pleasure of being part of a unique Japanese-German culture exchange program as Grünwald foundation’s 15th scholarship fellow and of having the chance to get to know the Japanese culture, language and history from 1 April to 28 June 2018. 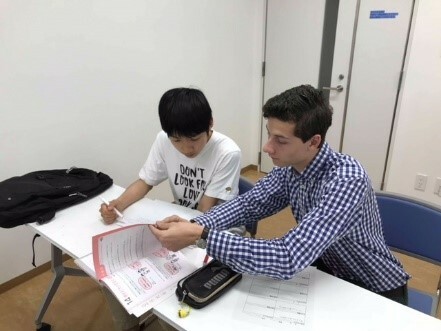 Throughout the first weeks, Mr. Okamoto has not only helped me to develop a basic understanding of Japanese habits and customs, but also introduced me to a number of Japanese associations and societies. 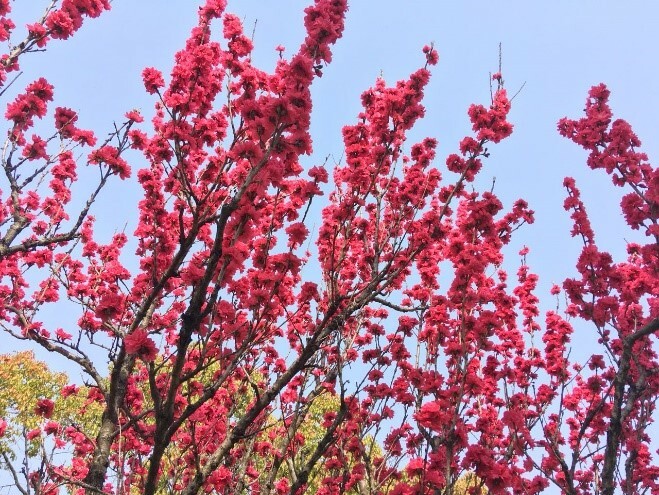 Furthermore, I started to explore Osaka and Kyoto, was lucky enough to enjoy the annual cherry blossom season, started Japanese classes and regularly give English language classes to Japanese middle school students. 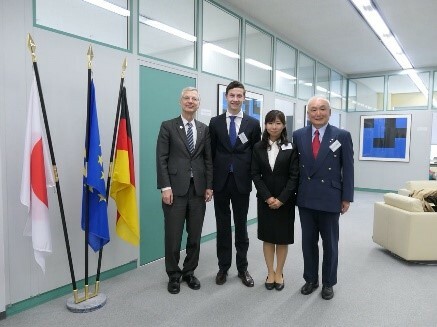 Last but not least, I was given the honor to meet several inspiring Japanese and German personalities, such as the Mayor of Osaka, Mr. Keiji Goto, and the German Consul General Dr. Köhler. 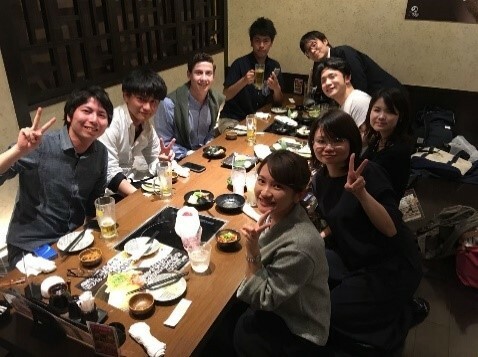 Participating in discussions and events like these allowed me to acquire insights in various Japanese-German similarities, such as the demographic change. As Germany, Japan is currently facing a firm trend towards an aging population through decreasing birth rates (recently 1.3 children per family). It is unclear yet which political responses could be most effective in tackling this issue, examples include encouraging women to work and replacing vacant jobs through robots. 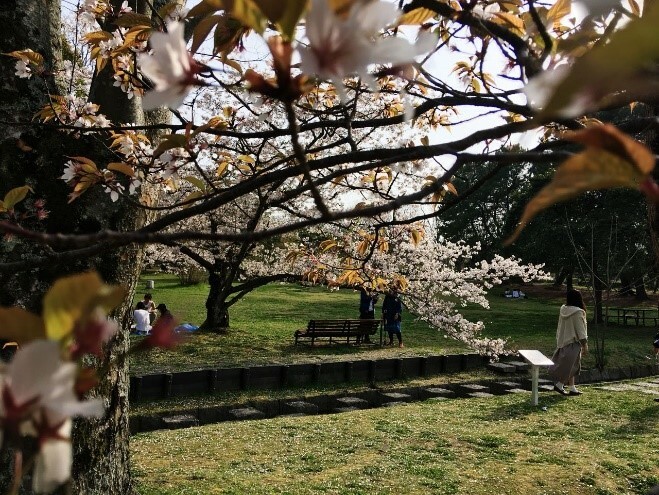 Besides the aging population, there are other issues that are discussed in a similar manner in both Japan and Germany. 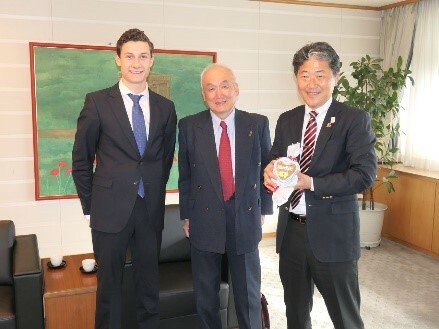 Among these topics, I engaged in insightful debates about Japan’s high national deficit (with a deficit-GDP ratio of more than 100%), emerging alternative engine technologies within the automotive industry (conventional vs. electric vs. hydrogen), the increasing trend of urbanization, nuclear energy, or the role of women in society and the business world. 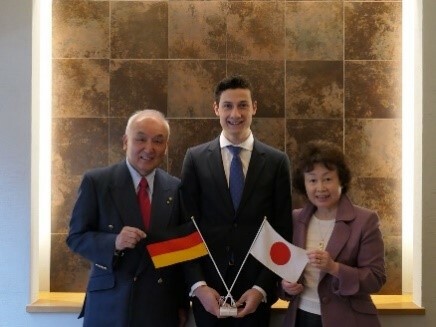 It took me by surprise to learn that the Japanese law system has adapted the German law system, which has led to many similarities until today. 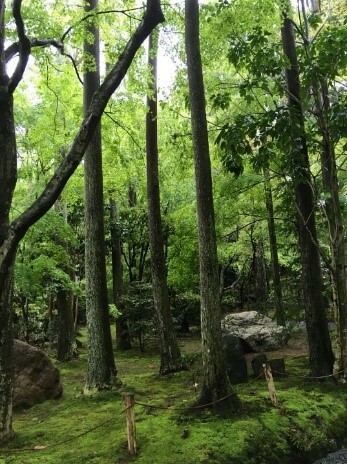 Despite these similarities, I also encountered a number of differences and even curiosities. 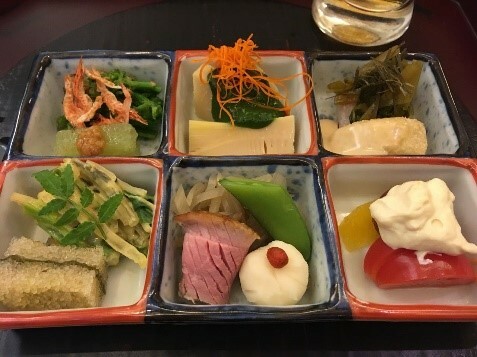 One of my personal highlights is certainly the amazing Japanese cuisine, which is characterized by very fresh, low-fat and very tasteful ingredients. 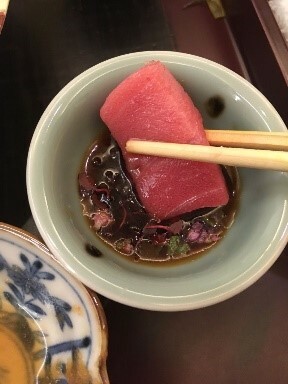 Sushi, Sashimi, Okonomiyaki, hot Ramen-soups and the superb 12-course menu during my welcome dinner have made my heart beat faster and encouraged me to turn the grocery shopping routine into an adventurous experiment. 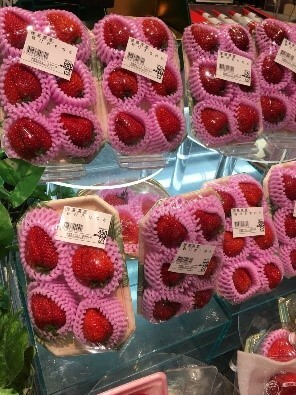 What I found quite curious is Japan’s high-end, carefully-cultivated fruit available in the supermarkets. Even a single strawberry can be wrapped independently and a perfectly shaped watermelon can easily cost a fortune of more than €100. 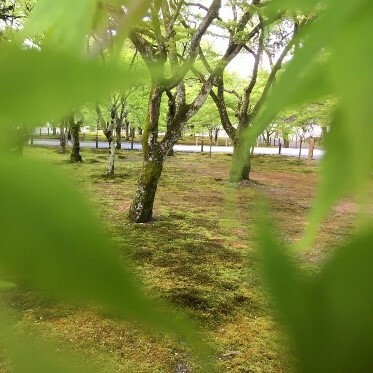 Apart from these culinary differences, I also identified variances in people’s mentality, as I experienced Japanese people to have a very high level of hospitality, courtesy and openness. 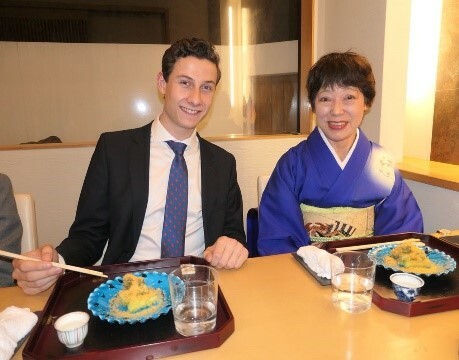 At this point, I would like to express my gratefulness to Mr. Okamoto for his outstanding hospitality, his time and strong commitment, which allowed me to easily settle in Osaka and which provided me with so many opportunities to understand Japan better. I would also like to thank Ms. Moriyama for her time and very friendly help in my everyday life. 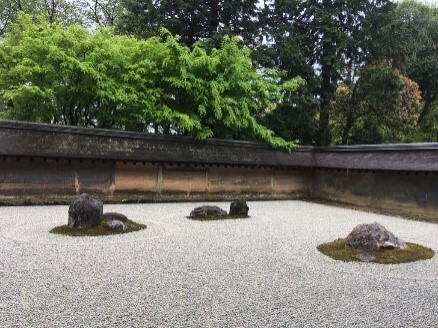 I very much look forward to the upcoming months in Japan and aspire to further advance my understanding of this country while gaining many more inspiring experiences.